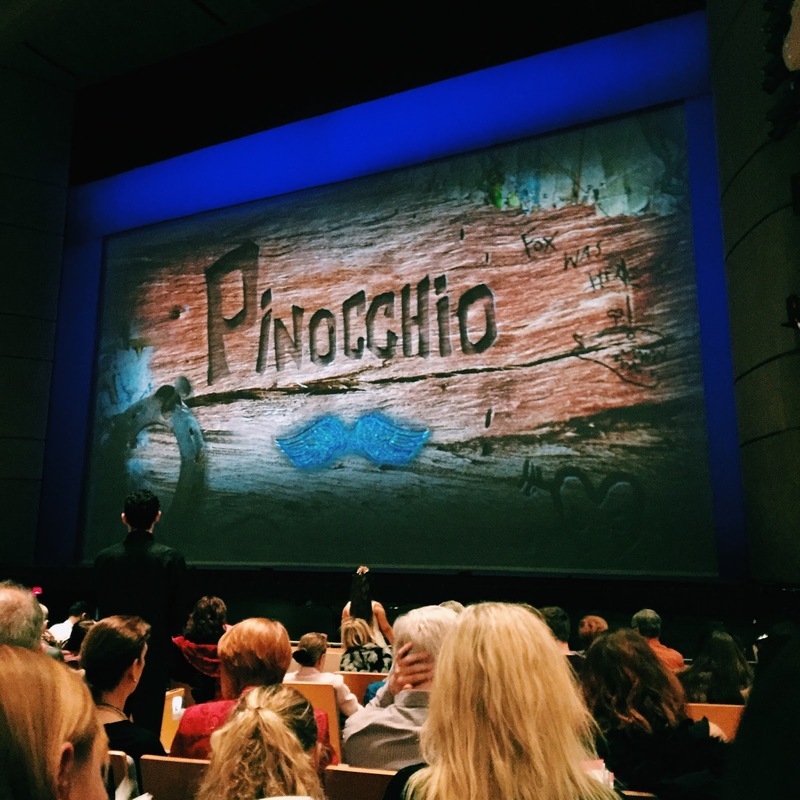 Last week I took my boyfriend to his first ballet, the National Ballet of Canada‘s production Pinocchio. Since the company released it’s 2017 season last year I was anticipating this show above all others. While it did not disappoint I could never have expected this interpretation! The company has really stepped out of the box on this production. A very modern take on ballet, with some characters even speaking, which never happens in a ballet! I think this is actually the perfect show for a newcomer of the art to enjoy. It is almost theatrical in its rendition. Each year the artistic director, Karen Kain expands in her expression of classic ballets we’ve all grown up knowing and loving. With Pinocchio we are treated to some of the most stunning sets and costumes to date. Our star puppet, danced by Skylar Campbell had an actual expanding nose which grew and shrunk as the story unfolded. Wearing a costume depicting the grains of his wooden body, he transforms into a real boy in seconds right before our eyes! The theme adopted a Canadian inspiration, beginning with lumberjacks felling the tree from which Pinocchio is born. Following this, many of the characters are woodland creatures, each adopting the personality of animals found in Canadian forests, ie. the intellectual beaver, or the mischievous raccoons. the setting reminded me of Tim Burton’s Batman. One of my favourite scenes is that of Pinocchio and Gepetto in the ocean. A transparent blue screen falls at the front of the stage, with projections of waves. Behind which, we can see Pinocchio and his father, suspended in the water. Such creative visions brought to life!